39 days to go and the print media is not only unrolling endorsements, the most staunchly Republican and conservative among them are lining up for Hillary. This paper has not endorsed a Democrat for president in its 148-year history. But we endorse Clinton. 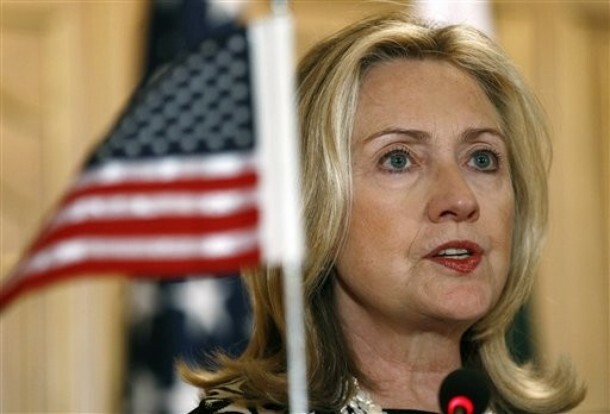 She’s the safe choice for the U.S. and for the world, for Democrats and Republicans alike. Rarely does the race for the presidency pit candidates with such vastly different backgrounds and dissimilar visions for America. One sees failure, except through him. One sees success, working together. Meanwhile, in the Wall Street Journal, Dorothy Rabinowitz sheds some light on why cable media insisted today in dismissive terms that newspaper endorsements do not mean much and probably do not influence votes. She alone stands between America and the reign of the most unstable, unfit president in U.S. history. There were cheers when Donald Trump assured his Virginia audience last weekend that the wall will be built and, yes, that Mexico would pay for it. But the cheers lacked the roaring ecstasy his promise used to evoke at rallies. No one has the heart, by now, to pretend that such a wall will actually be built, but that’s all right with Mr. Trump’s dauntless fans, who can find plenty of other reasons for their faith in him. The NeverTrump forces, appalled at the prospect of a Trump presidency, are no less passionate. The NeverHillary forces are another matter entirely—citizens well aware of the darker aspects of Donald Trump’s character but who have nonetheless concluded that they should give him their vote. They are aware of his casual disregard for truth, his self-obsession, his ignorance, his ingrained vindictiveness. Not even the first presidential debate, which saw him erupt into a snarling aside about Rosie O’Donnell, could loosen his hold on that visceral drive to inflict payback, in this case over a feud 10 years old. Such are the values that drive the Republican candidate’s judgment—a fact interesting to contemplate as one imagines a President Trump dealing with international conflict and rogue heads of state. Still Mr. Trump is now the choice of voters who have concluded that of the two flawed contenders running, he would be far preferable. So while Andrea Mitchell & Co. blow off the newspaper endorsements as insignificant and irrelevant, it is undeniable that something is up with the conservative and Republican endorsements multiplying like loaves and fishes while Trump stands, as Chris Matthews just pointed out, with his finger in the air like Jesus on the Mount. Most sound-minded Americans do not buy into Trump’s dark and stormy vision that this country is in its worst shape ever. That is not to say that what is not working doesn’t need fixing and what works cannot be made better. It does indicate that most of us know that we are not looking for a redeemer. The U.S. remains the most powerful country on earth. What we need is a clear-eyed, forward-thinking leader to put this country on the road to the 22nd century. It is a century unlikely to be seen by anyone voting in this election. But that is what elections are supposed to be about – the future. Messianic prophecies of doom and gloom offer nothing for the path forward. This is not a religious crusade, and underneath it all, Trump’s positions smack exactly of that. It is an election. It is secular. We need a president for all of us. That person is not Donald Trump. To date, Donald Trump has not been endorsed by a single major print news outlet. It’s the last night of the last quarter. Stand with Hillary now! Chip in! Hillary disembarked her plane at Fort Lauderdale Airport this afternoon and headed for a campaign rally at the Coral Springs Gymnasium. “Thank you! Whoa! Thank you so much. And I am so happy to be here in Coral Springs, in Broward County, in the great state of Florida! And I know there’s a big overflow crowd in the next building over. I think they can see and hear us, but I wanted to thank them for being part of today’s event. And I’ve got to recognize Joshua Simmons, who just introduced me. He is a civics teacher at Pompano Beach Middle School, and boy, are his students lucky to have him and his enthusiasm. And I want to also commend him for talking about his mother and how hard she worked, and his sister who he helped to raise. We really are stronger together, and that starts in families and neighborhoods and communities. Well, you heard from a lot of my friends who represent you, starting with my great friend and former colleague, your Senator Bill Nelson. And I am looking forward to working with Bill as we make sure to continue the progress that will move us all forward together. And I sure hope Florida sends some reinforcements to the Senate and elect Congressman Patrick Murphy. I think Florida deserves a full-time senator, don’t you? And I want to thank my friend, someone who has just worked her heart out not just for her constituents but for Democrats across America – Congresswoman Debbie Wasserman Schultz. And another great friend of mine going back more years than we care to remember – I’m so pleased he’s here with us – Congressman Alcee Hastings. And I know that Congressman Ted Deutch, who represents this district – is over in Israel for the funeral of a great, great man, Shimon Peres, and I want to thank Ted for all of his support and his hard work. Before I get started and really talk about everything that’s at stake and what we have to do the next 39 days to make sure we win this election, I wanted to say a few words about the tragic passing of Jose Fernandez. When he left Cuba, he did not speak a word of English. He didn’t let that stop him. He pursued his dreams. He wanted to and he became one of the best baseball players that Miami has ever seen. And he never forgot where he came from. He worked hard to give back to the community that had given so much to him. Jose’s life really embodied the American dream, and at 24 years of age, he was just getting started. I’m sure you join me in saying that our thoughts and our prayers are with his family, with his fans, and everyone whose life he touched during his extraordinary career. I also want to mention another resident of Coral Springs, and that’s a man named Bob Levinson. My heart goes out to Bob’s family. He disappeared in Iran more than nine years ago, and it is long past time for the Iranian regime to provide us information about his whereabouts and let him return home to his family. Now, did any of you see the debate the other night? Well, I think it was pretty clear there are two very different choices for our country based on two very different visions of the kind of America that we want to have. My view is we are already great, and if we work together, we will become even greater in the years ahead. I believe America is an exceptional nation. My opponent believes America is in decline. I’ve never heard such a dark and divisive, terrible image of our country coming from someone running to be president of the United States. When he talks, I lots of times don’t even recognize the country he’s talking about. And why are we already great? Well, it is not just because of the size of our economy or the size of our military. It is because of our generosity; it is because of our ingenuity; it is because of the diversity of our country. I think our diversity is one of our strongest assets. This morning, I laid out my plan for more national service so that more people of all ages can serve America, serve their communities. Because America is great, when you really strip it all down, because America is good. And we can’t ever forget that. I have laid out specific plans about how we’re going to make our country even greater. I’ve actually got a book here with Tim Kaine, my running mate. I have this old-fashioned idea: if I’m asking you for your vote for president, I should tell you what I’m going to do. I shouldn’t just talk in generalities and use rhetoric and never answer questions about what we can do, but to lay out how we’re going to make the economy work for everyone, not just those at the top. That means new jobs – new jobs with rising incomes, jobs in infrastructure, jobs in advanced manufacturing, in innovation and technology, and yes, clean, renewable energy jobs. My opponent’s only infrastructure plan is to build a wall. I love that he went down to Mexico and he choked. He didn’t even raise it. He’s been going around telling people for months, ‘We’re going to build a wall and we’re going to make Mexico pay for it.’ So he’s sitting with the president of Mexico and he doesn’t even bring it up. He finds it a lot easier to insult women than to talk to the president of Mexico about building a wall. I mean, really, who gets up at 3 o’clock in the morning to engage in a Twitter attack against a former Miss Universe? I mean, he hurled as many insults as he could. Really, why does he do things like that? I mean, his latest Twitter meltdown is unhinged, even for him. It proves yet again that he is temperamentally unfit to be president and commander-in-chief. I have said it before and I’ll say it again: A man who can be provoked by a tweet should not be anywhere near the nuclear codes. So I’m going to keep talking about what we can do together after this election. Getting those new jobs. And I’ll tell you, another area I want to emphasize is small business. As I said the other night, my dad was a small businessman. He made a lot of sacrifice and he worked really hard to give us a good, solid, middle-class life. I’m really proud of that. And I’m sure glad he never got a contract from Donald Trump, who stiffs small businesses, doesn’t pay his bills to people like my dad. But we need to do more to get small business started and growing – here in Broward County, throughout South Florida, across the state, and beyond. So as we grow the economy, we also have to make it fairer. I want prosperity to reach everyone, not just the privileged few. So we are going to raise the minimum wage because if you work full-time, you should not still be in poverty. And you know, two-thirds of all minimum wage workers are women, most of them supporting kids. And if you work full-time on a minimum wage job, at the end of the year you’ve made $15,000. I think we can do better. And I think we should because we want everybody to have a chance to get ahead and stay ahead and go as far as their hard work and talent will take them. Something else we’re going to do is we are finally going to guarantee equal pay for women’s work. Now, this is not, my friends, just a women’s issue. If you have a mother, a wife, a daughter, a sister, who is working, it’s your issue, too, to make sure she is paid fairly. That will raise family incomes. And then the third thing I want to do is to make sure – to make sure – more companies share profits with the workers who helped to create those profits in the first place. The other night at the debate, one of my guests was Mark Cuban. He was sitting in the front row. And one of the reasons I was proud to have him there is he believes in profit-sharing. He’s always, in his companies, shared profits. And by the way, he is a real billionaire. And when he sold his first company, he shared the profits from the sale and 300 people who worked for him, who helped to make him a success, became millionaires. I want to lift up and use as examples business leaders like that, not somebody who stiffs contractors, who doesn’t pay dishwashers and painters and plumbers and glass installers and architects and marble installers and so many else, but somebody who has the right attitude, that we’re stronger together in business just like we are in government and America. And the other thing we have to do more of is to make sure that we help deal with some of the stresses that American families are facing. It is hard to balance family and work, isn’t it? I think we can do better. I want to see us have paid family leave, earned sick days, affordable childcare, and affordable college that includes tuition-free and debt-free college. Now, after the primary was over – and Senator Sanders and I ran a tough primary, but you know what? I was really proud. We ran a campaign based on issues, not insults. He and I got together and we said, okay, what are we going to do to make sure that more young people can actually get a college education? Because right now, it’s way beyond what a lot of families can afford. And if you go into debt, you come out of it with so much debt that remains a burden on you. So the other day Senator Sanders and I were up in New Hampshire together, and we were rolling out our plan. And it’s pretty simple. You can go to my website, but let me just tell you briefly. If you are in a family that makes less than $125,000, you will not pay tuition to go to a public college or university. And if you make more than that, you will pay what you can afford, but you will not have to borrow money because it will be debt-free for you to go. And we put together a calculator on my website. 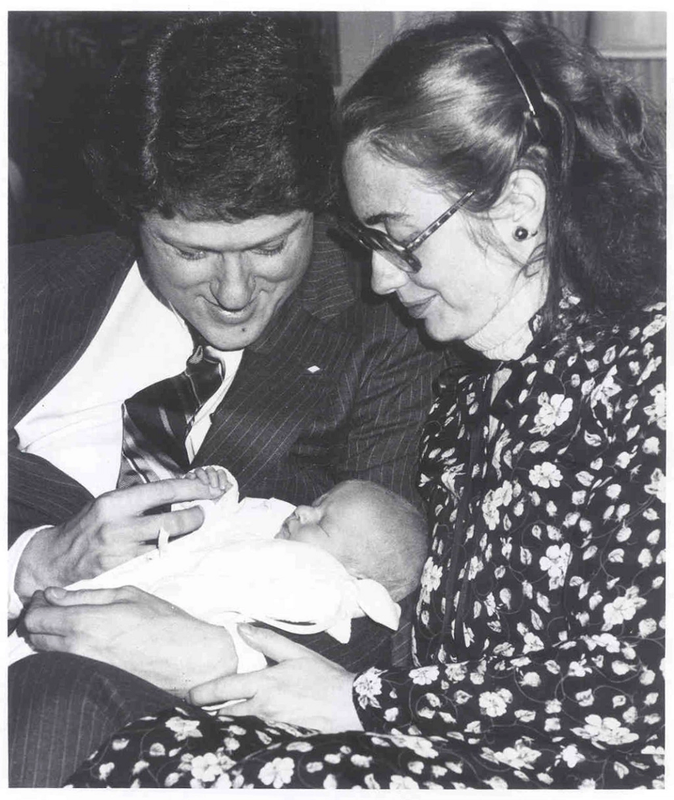 You can go to hillaryclinton.com/ calculator and you can see how much you will save, how much your child or your grandchild would save under this plan. But I also believe a four-year college degree, which is an important part of getting an education to get ahead, should not leave you mired in debt. So we are going to help you refinance your debt, get the interest rates down, and if you’re willing to do public service, national service, we’re going to forgive your debt over time. But not everyone has to go for a four-year degree. I want every person, not just young people but people who are looking for a different opportunity or may have to retrain – I want to everybody to have a chance for a good, solid job. I think we made a mistake when we took vocational education out of high school. We need to put technical education back into high school. Now, I’m excited about this. I really am. I am confident and optimistic about our country. We never get anything done if all we do is get down in the mouth and feel bad and complain and try to blame somebody for something else. That’s not who we are as Americans. We need to lift ourselves up, and we need to roll up our sleeves to get to work to make sure that future is what it should be for our country. And while we’re doing that, we’re going to make sure that our country’s safe and that America provides strong and steady leadership around the world. Sometimes, when I listen to my opponent, it kind of seems he doesn’t know who our friends are versus our adversaries. He has this weird fascination with dictators. He’s kind of signed up for the Vladimir Putin wish list. He doesn’t care whether NATO falls apart, and he is really cavalier about other countries getting nuclear weapons. He said he doesn’t care. Let Japan, South Korea, even Saudi Arabia, get a nuclear weapon. Whoa! That’s the kind of dangerous, reckless talk that people around the world pay attention to. As I told him in the debate – he actually said, ‘Well, we may or may not defend our allies in Asia.’ Words matter. And America’s word matters. We have to be reliable and trustworthy. People have to count on us. And we’ve got a lot of work to do around the world. We need to work hard for peace and prosperity. We need to tackle climate change together. Climate change is real. Florida knows that. My opponent thinks it’s a hoax created by the Chinese. And what that means is he would not be able to take advantage of the economic opportunities that climate change presents. You see, some country’s going to be the clean energy superpower of the 21st Century. I think it’s going to be either China, Germany, or us. I want it to be us, and it can be us if we make up our minds for that to happen. Let’s deploy a half a billion more solar panels. Let’s produce enough clean energy so that every home in America can be powered by it. There’s so much we can do together. And that means we’ve got to work with other countries and we’ve got to demonstrate that we support our allies, whether they’re in Europe, the Middle East with Israel, or Asia, that we stand with those who stand with us. 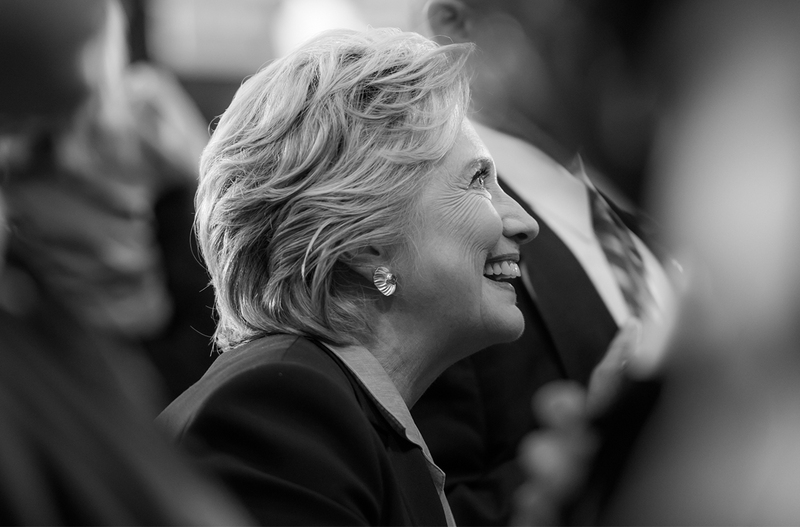 AUDIENCE MEMBER: “Day one.” HILLARY CLINTON: “– is to make them day one – you’re right – is to make sure everybody in the country knows I’m the president of every American, every single person. Now – so in order for me to do any of this, anything that’s in this book and making sure that it’s paid for by the wealthy and corporations who have to pay their fair share finally, all of that, depends upon whether we win in November. 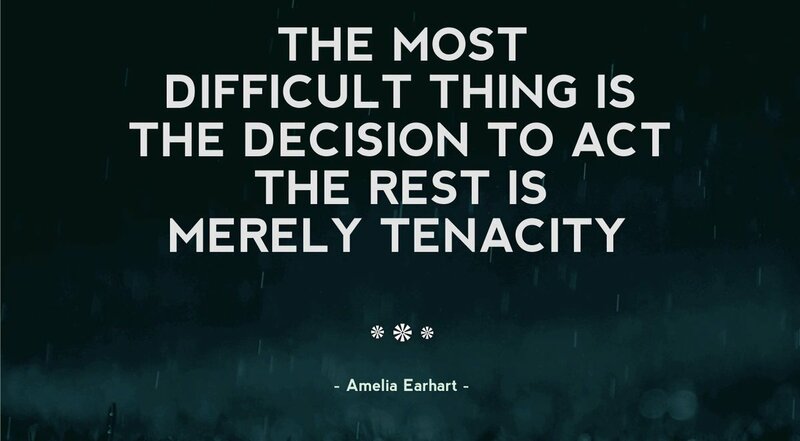 The stakes could not be higher. So here is what I am asking all of you. How many of you know you are registered to vote? So we need to get everybody to be registered at your current address by October 11th. If you’ve moved, you may need to reregister. Here’s how you can find out if you are registered. You can go to iwillvote.com, iwillvote.com. You put in your name. You put in your address and make sure you’re registered. If you need to get registered, we have volunteers here. Right? And they will – they have – they have clipboards. We’re kind of low-tech about it. They have clipboards. They can help you get registered right here and now or, as I say, you can go to iwillvote.com and check your registration. And, remember, you can vote by mail startingOctober 24th here in Broward. And the other thing you can do is convince everybody you know to make sure they’re registered and to help them know how to vote by mail so they could get their vote in without making any fuss or inconvenience. So make no mistake. This election is going to be close. They always are. So every call you make, every door you knock on, every person you register could make the difference. 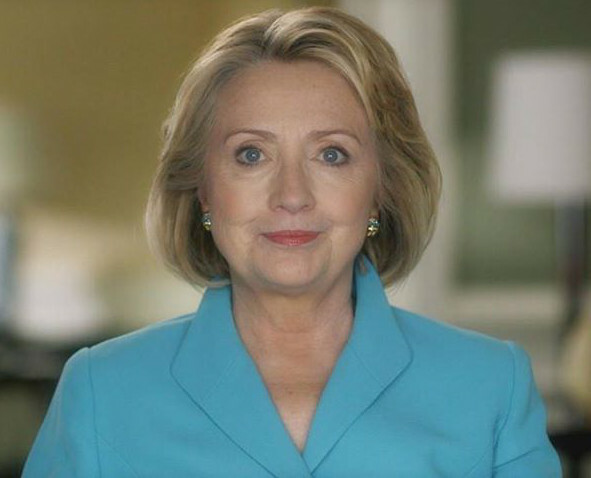 So I’m asking you to go ahead and text JOIN, text JOIN, J‑O‑I‑N, to 47246 to get involved or go to hillaryclinton.com. And you can volunteer and become involved. If we win Broward County by as big a margin as we should win it, we win Florida. And, like I say, I’m not just excited about winning an election. I’m excited about doing the work. I’m excited about listening to Americans. I’ll continue to travel our country. I’ll be here in Florida so much you’ll get sick of me because I want to be a good partner for Florida. I mean, Florida is already suffering from climate change, and you have a governor who ordered the state government never to say the word or write the phrase. That’s kind of hard to believe. So there’s a lot we’re going to do together: jobs, rising incomes, opportunities. And that’s what gets me excited. Hillary is in Florida today. Her first event was in at the Sunrise Theater Fort Pierce. 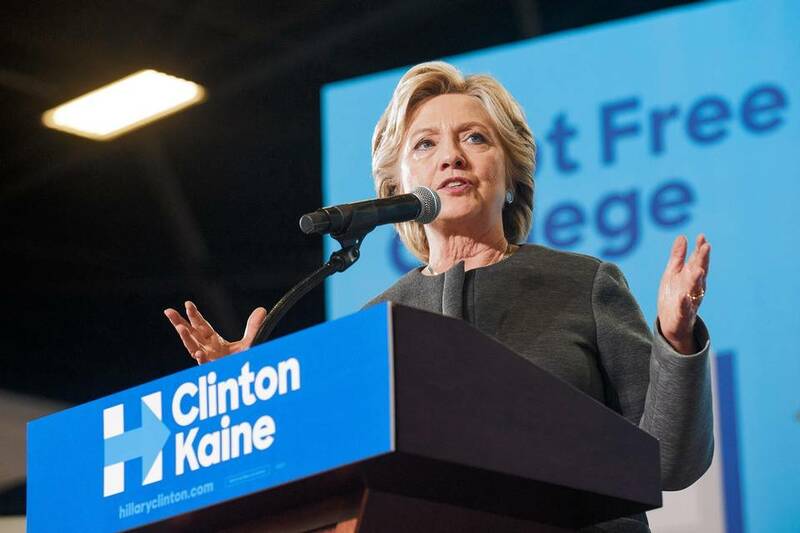 At a speech in Fort Pierce, Florida on Friday, Hillary Clinton issued a broad call for national service, building on her belief that we must do more to support Millennial activism and create pathways for young Americans to serve and to lead. Clinton set out a new national program dedicated to helping Americans participate in service opportunities with a special focus on younger Americans: a National Service Reserve where 5 million Americans would devote hours of volunteer service time towards solving pressing local challenges in their community. No matter if you are locked out of your vehicle, in need of a tire change, a jump start or battery replacement, you can trust our professional heavy duty car repair services to get the job done. She would also increase AmeriCorps from 75,000 members to 250,000 members annually to fulfill the promise of the Edward M. Kennedy Serve America Act; strengthen the Peace Corps; and expand service opportunities for Americans of all ages. It is a distinct contrast, she said, to Donald Trump’s view of America as a hopeless broken place where “I alone can fix it,” Clinton said. She will take that belief in service that she has carried all her life, since her first job out of law school in the Children’s Defense Fund, all the way to the White House, she said. 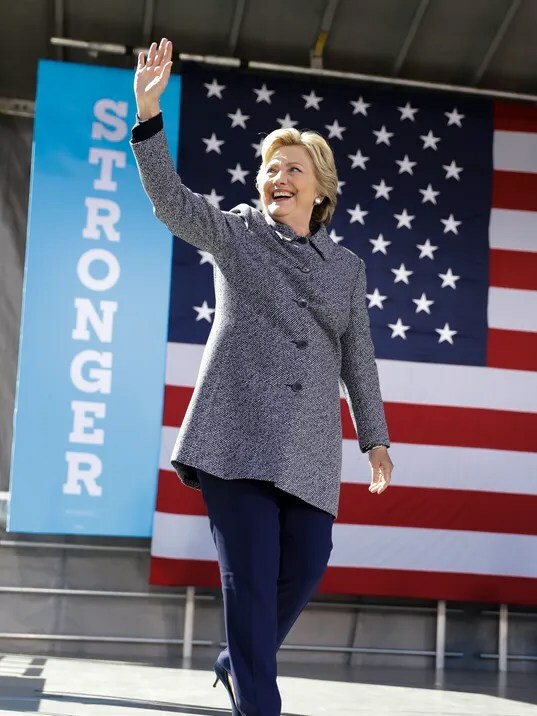 Clinton also believes that one of America’s best qualities is our culture of national service and volunteerism, whether exemplified by rebuilding schools, cleaning up neighborhoods, helping people find jobs or families find housing, or any of a million other kinds of service Americans perform every day. Clinton’s remarks as transcribed, are below: “Hello! Thank you! Thank you so much. Thank you. Thank you so very much. Wow, what – what a wonderful welcome. It is great to be here in Fort Pierce in this beautiful theater. I love being in the Sunshine State. I really want to recognize a few people: U.S. Congresswoman Lois Frankel is here as you saw, Randy Perkins, a candidate for Congress, Kim Johnson, chair of the St. Lucie County Commission, Larry Lee Jr., state representative. Everyone, all of the elected officials, all of the students and young people, it is wonderful to be with you. And I want to thank Eileen for her introduction. We know how hard that nurses like Eileen work, and now that she is retired, she is volunteering for our campaign. This woman never quit, and Eileen, we are so glad you are on our team. I am grateful to all of the elected officials, all of the commissioners, the county commissioners, Martin County, St. Lucie, for all you do for the community, but especially for all you did this summer to clean up the algae that polluted the water, that threatened wildlife and made life hard for local residents and businesses. This is a serious and complicated problem, isn’t it, for the entire Treasure Coast. And it is a reminder, if we needed it, how important good leadership is. So, I thank all the leaders for their commitment. Now, there are just 39 days between now and November 8th. Just 39 days left in the most important election in our lifetimes. We’ve got to make every single day count. We have to get more people registered to vote, get more people committed to turn out to vote. We have to drive home the stakes in this election: stronger families, safer communities and an economy that works for everyone, not just those at the top. And underneath all of the rhetoric and the coverage and the back and forth, this campaign really comes down to two questions. What kind of future we want for ourselves, our kids and our grandkids, and how do we make it a reality? Now, as I said it the other night – how many of you saw the debate? Well as I said, I now have two grandchildren, and no offense to anybody, the two most wonderful, amazing, extraordinary. A little girl and a little boy. So I think a lot about the future. And you may have noticed that my opponent and I have different views about – well, nearly everything when it gets right down to it – not just about what makes America great, because I think America already is great – but about what we should do to make it even greater, and about that basic question about how progress happens at all. My opponent believes in what I call a ‘strongman approach.’ He stood on that stage at his convention and described a hopeless, broken nation. 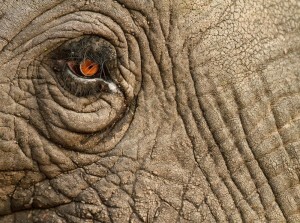 I am sorry, I am looking at you. I don’t see that. That in no way resembles the strong, vibrant America I know. And here’s what he said. He said, ‘I alone can fix it.’ I alone? Well, we have learned that that’s his way. One person getting supreme power and exercising it ruthlessly. That’s why he admires dictators like Vladimir Putin so much. But that’s not how change happens in America. It’s never just one person, not even someone as powerful as the president. Every good our country has ever achieved has always happened because people have worked together to make it a reality. Not just the wealthy or the powerful – all of us. We see that every day across America, and I bet many of you have been a part of it. Maybe you taught kids to read, right? Or cleaned up your local park, or the beach, maybe you have organized a cancer walk, or you have run a food drive. Whatever it is, chances are you have done something to serve your community. And by extension, your country. How many of you – just think back over your lives – how many of you have performed some kind of service of some sort for your community, for other people. The reason I know you have is because tens and tens of millions of Americans do some kind of volunteering in your hometowns every single year. It’s one of the best things about the American people. We are doers. We don’t just shrug our shoulders when we see something that needs fixing, we don’t get resigned or pathetic, or blame other people and turn on each other to find scapegoats. We roll up our sleeves, we get to work to try to make things better in our neighborhood, our community, our city, our state, our country. This has been our story, the American story, since the beginning of our nation, and it is still going strong today. Now, for many Americans, including a lot of you here, serving our country has included serving in our Armed Forces. People are starting to call out their services! There is no greater service or sacrifice, and we are grateful to our men and women in uniform, to their families and our veterans every single day. But what’s so great is that national service can take many different forms, and it’s something that I believe in so deeply, that every stage of our lives gives us the chance, from grade school through grandparenthood, to find a way to give back. We’ve got folks here today from AmeriCorps, which my husband created back in 1993, and I’ll tell you, to this day, it is one of his proudest achievements. Because very day, AmeriCorps volunteers are out there. They’re building houses, responding to natural disasters, helping people with disabilities find jobs, find safe places to live, and next week, on October 7th, AmeriCorps will celebrate a major milestone: their one-millionth member. I’ll tell you, Bill is really excited about this and so am I. And by the way, AmeriCorps has one of the best swearing in pledges I have ever heard. Here’s how it starts: ‘I will get things done for America.’ Isn’t that great? I think we should make that a national slogan. Now we also have folks here today from City Year, which is part of AmeriCorps. And every day, they’re working with students who are risk of dropping out of school. They’re tutoring and mentoring and running after school clubs – all to help young people really discover how capable they really are and to be empowered and to stay in school. I’m really grateful to them. We also have people here today from the Peace Corps, which represents the best of America to the world. Peace Corps volunteers are teaching English in Kosovo, staffing health centers in Nicaragua, supporting farmers in Nepal, distributing malaria nets in Uganda. Both as First Lady and as Secretary of State, I got to see the results of their work first hand. They are making the world a healthier, more prosperous and more peaceful place. Now, maybe not all of you have been a part of one of these programs, but I know you serve in different ways. Maybe you volunteer through your school, or with your church or synagogue. Maybe you find through faith-based opportunities, as I did when I was a teenager, service opportunities. Because for many Americans, service is part of our faith. My running mate, Tim Kaine, volunteered in Honduras with Jesuits as a young man, and it changed his life. Or maybe your whole family volunteers together, Bill and Chelsea and I, every holiday season, would work at a food bank back in Arkansas. However you serve, it feels good, doesn’t it? To be part of something bigger than ourselves. To take our time and labor, and put it towards something good that can happen in our country and the world. And you know something very interesting? Service makes us happier, it makes us healthier, and there are studies proving that. It’s not just how we feel, they’ve actually followed people. It can also help us find our next job, or our true calling in life. It’s a smart way to use our greatest asset in life, our people. And service does something important for us as a society. 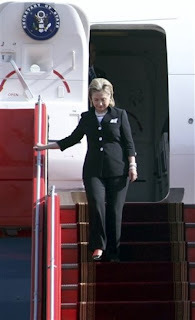 Then she was at Vero Beach airport to hop aboard her plane for her next event in Coral Springs. In her plane on the tarmac at Chicago Midway Airport this afternoon, Hillary spoke to the press. She told them Trump appears to have broken the law and flouted U.S. foreign policy when he played a shell game with money to cover a business venture in Cuba in the late 90s. 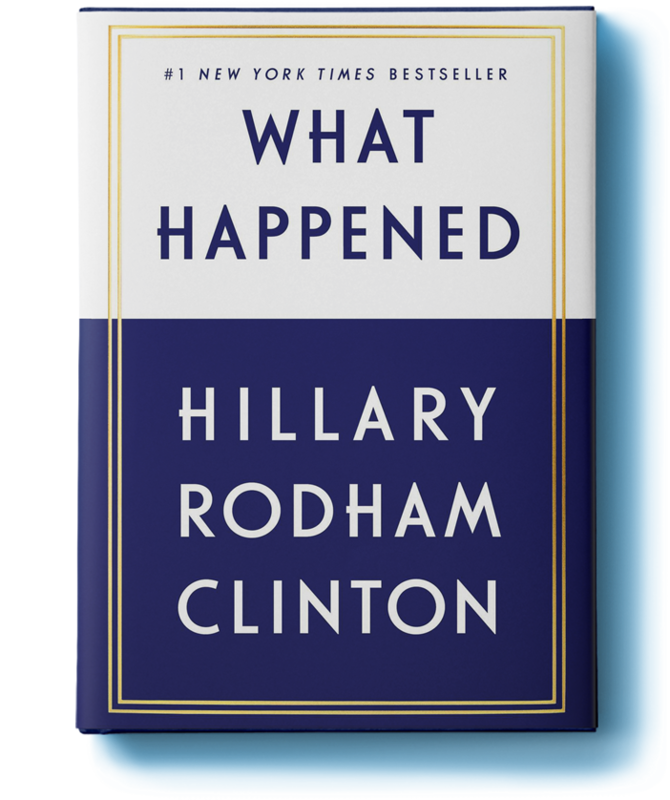 A few other questions she responded to were definition of the “middle class” and how she would respond if Trump were to bring up issues affecting the second Clinton administration also in the late 90s. She pegged the middle class thus and gave reasons. As to the second question, she responded with this and told the press they would have to wait and see if he does raise this in a debate and hear her response at that time. 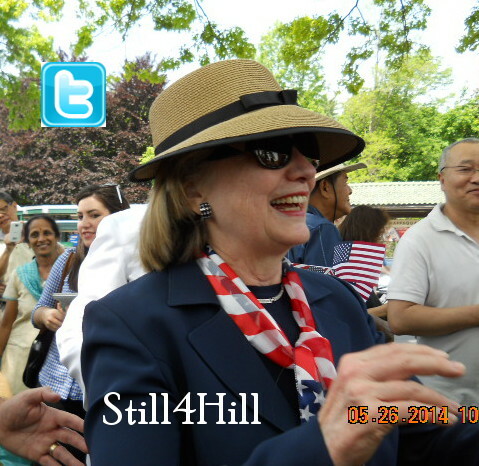 Hillary also expressed her appreciation for the support she is receiving from Republicans. The late 90s are old news as far as the Clintons are concerned. The issues have been revisited ad nauseam. The information concerning Trump’s dealings with Cuba, however, are actual news. This is what vetting a presidential candidate looks like, and it does deserve a spotlight. Here is a statement from the campaign. Kellyanne Conway Was Asked Whether She Denied That Trump’s Company Spent Money In Cuba And Said “I Think They Paid Money, As I Understand From The Story, They Paid Money In 1998.” HOST: Are you denying that his company spent any money in Cuba? KELLYANNE CONWAY: I think they paid money, as I understand from the story, they paid money in 1998 – I know we’re not supposed to talk about years ago when it comes to the Clintons, but with Trump there is no statute of limitations. Eichenwald and Newsweek are performing a public service by exposing Trump’s questionable foreign relations. Prior to stepping onstage in Des Moines today, Hillary tweeted about the train crash in Hoboken, NJ that occurred after she was en route to Iowa this morning. Hillary was on the ground in Des Moines to kick off early voting in Iowa. 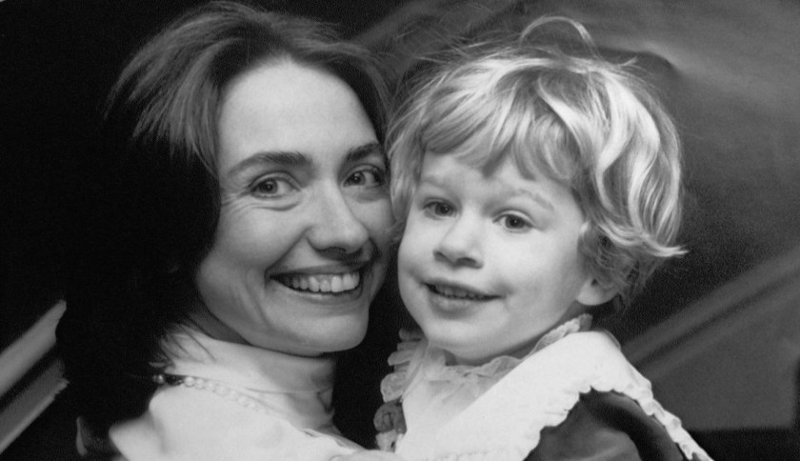 As president Hillary will stand up for kids and families. She’s done it her whole life. We need to bring technical education back to our schools. We need to raise the minimum wage so nobody who works full-time is still in poverty. Let’s make college tuition-free for any family whose income is $125,000 or less and debt-free for everyone. In person early vote in Iowa begins on the heels of Clinton’s win in the first debate. Early vote is a critical component of our organizing effort in all the battleground states: once we turn out those voters we can narrow our mission and turn out remaining supporters on Election Day. “Thank you! Thank you all so much. Wow! I am so happy to be back here in Iowa on a beautiful fall day to see all of you. And I especially want to thank Janelle for her introduction. And I so appreciate that Janelle and Nora and her husband Stu are here today. I remember so well when I met her back in 2015, and I saw that sign. And my best friend from sixth grade was also going through breast cancer and being treated. And when I saw Janelle’s sign, it just made me think about my friend, and I wanted to go over and meet this woman who had been through 13 chemo treatments already. And we just clicked. And I have been so grateful to be able to get to know her better and spend time with her when I see her. And I got to introduce her to my best friend when my best friend came to Iowa. So the circle is completed, and more people are reaching out and finding ways to help each other. Now, before I came out, I had the great, great privilege of saying hello to someone, Ruline Steininger, who is – is Ruline still here? I know she was going to try to stay. There she is. Hello, Ruline! Hello, Ruline! Ruline is a 103-year-old resident of Pleasant Hill who was born in 1913. I am so grateful for her support, and I don’t know if any of you have seen the videos, both about Janelle and about Ruline. But I really do recommend that you see them both. Ruline talks about this long, active life that she’s had and everything she has seen happen in America and the world. And I think it’s important to have that perspective. So it’s a great honor to have Ruline supporting me. I am so pleased. And she’s going to go vote early today to make sure her vote counts. I want to thank Dr. Andy McGuire for chairing the Iowa Democratic Party, fighting so hard to elect Democrats. And I want to lift up and thank our Democratic Senate candidate, Patty Judge. Where’s Patty? Patty’s out there fighting hard every single day, and she can use your help to make a strong case for her to go to the Senate. And Jim Mowrer, the 3rd District congressional candidate. Jim is running a great campaign, and we are really looking forward to having him in Washington. But that really depends upon everybody here and everybody across the great state of Iowa. Now, while we’re meeting on this beautiful day here in Des Moines, I know our friends in Cedar Rapids and the region are once again facing the potential of flooding. I talked with the mayor. I talked with city council members and other leaders over the last day or so. They hope that they will not have the flooding. They took a lot of good precautionary measures. Our campaign, along with thousands of people, came out and helped to put the sandbags in to try to prevent flooding. And I told them that if I’m so fortunate enough as to be president, we’re going to have a big infrastructure program, and we’re going to help prevent flooding in places like Cedar Rapids. Now, I also just want to say on a personal note I was terribly upset this morning to learn about a train crash in New Jersey. That’s very personal to me. I live in New York. People commute into New York from New Jersey. We had about a hundred commuters injured and one died. I just want to send our thoughts and prayers to them because it’s a horrible accident that ran into the depot and caused all kinds of damage. So I want to lift up the people of New Jersey and New York today. Now, we are starting to vote in Iowa today! And I saw my good friend Ruth Harkin, and she told me she was the first person in line to vote today. And we have, what, 40 days, 39 days, left. And each and every one of you have the chance to make sure that we keep our country on the right path. We have 40 days to win an election that’s going to affect the next 40 years of our country. And you, every one of you, can make the difference in this election. Now, how many of you participated in the caucuses? Well, we’ve got a bunch of active Iowans here. Are you ready to go to the polls? Well, luckily, in Iowa you can start today. Lots of folks don’t have that opportunity across the country. And a lot of our campaign volunteers are going to direct people right from this rally to early voting sites. We’ve got one right down the street. So when you finish here, you can go vote. And we can be on the path to victory here in Iowa. Any of you see that debate on Monday night? Well, one down, two to go. Well, I have to tell you, it was an extraordinary experience because I did get to say a few things about the positive agenda that we want to have for our country because I want this election to be about something, not just against somebody. And so I am going to close this campaign the way I started decades ago, fighting for kids and families because it’s been the cause of my life. It will be the mission of my presidency because I know from my own experience that strong families are the base of a strong America. And I know from personal experience how important it is to give people the tools they need to make sure that they can go as far as their hard work, their talent, will take them. Now, you may have heard me say this. I started talking about this way back in the beginning of the campaign here in Iowa. But I was very fortunate. None of us picks our parents. But I really was fortunate. My dad was a Navy veteran, a small businessman, and he worked hard every single day to build a good life to provide financial security, a good, solid, middle class life. And I know how hard he worked because occasionally I’d go down to his print plant where he printed fabrics for draperies. And it was not a very big building. It didn’t have any natural life. There were no windows in it. It’s what he could afford. And there were two long tables. And he’d roll out the fabric, and then he would take a silkscreen. Any of you ever seen a silkscreen, an old-fashioned silkscreen? Not far from here there’s a wonderful t-shirt store. Right? And they still use silkscreens for some of their printing. So he would take that silkscreen, and he’d put it down, and he would pour the paint in. Then he’d take a squeegee and he’d go across it. And then he’d lift it up, and he’d go all the way down the table. And if there was going to be more than one color, he’d do it all over again. And then when he finished, he would gather it up and put it in his car and he’d go deliver it to the customer who had ordered it. That’s how I was raised to think about doing business. You do your best. You enter into a contract or an agreement. Somebody orders your goods or your services. And then they pay you for it. Right? And as I said the other night, one of the things that we have found out is that as his own campaign manager said about him, Donald Trump has built a lot of businesses on the backs of the little guy. Her words. And I have met people who have been the victims of his refusal to honor contracts, to pay what had been bargained for. I just am grateful that my dad never did business with him or somebody like him because we couldn’t have survived all that. All that work, and then to be told we’re not going to pay you, or maybe we’ll pay you 10 cents on the dollar, or 20 cents? That’s just wrong. What kind of person does that, takes advantage of dishwashers and painters and architects and glass installers and so many people? We’ve been looking into the records, and there’s a long list of people who have been mistreated. I just don’t believe that’s the way we’re supposed to treat each other in America. And that sure is not the way our president should be treating our citizens in our country. Now, my mom had a very different story. My dad’s father was a factory worker, but they had a strong family. My mom was abandoned by her parents and then sent to live with grandparents, and they didn’t want her. So she was out on her own by the age of 14. She was working as a housemaid and a babysitter. And it may sound harsh, but I will quickly tell you that it was the first time in her young life that she ever was in a family that showed love and respect for each other. So for her, it was a gift. And then she got another gift. The woman she worked for knew that my mom wanted to go to high school. And so the woman said, ‘If you can get up really early and you can get your chores done and get the little kids off to school, you can go to high school. But you’ll have to come right back.’ That may sound harsh for a 14-year-old, but for my mother it made all the difference. And that’s exactly what she did for four years, and most days she had to run – run – to get there. But she didn’t care because she wanted to get an education. So when I learned more about my mom’s life, I knew that what I wanted to do was to stand up for kids and families, and especially for kids who’ve been left out or left behind in some way. That’s why I went to work for the Children’s Defense Fund and learned quickly that kids with disabilities were not in our public schools back then, and we worked to put together a coalition and convince Congress to pass the law, and boy, every day I am so thankful for your former Senator Tom Harkin, who made the rights and opportunities of people with disabilities the centerpiece of his distinguished career. So that’s been my mission: How are we going to do more to help kids and families? And so when I talk about the economy – because I think we have three big issues facing us. Number one, we need an economy that works for everyone, not just those at the top, right? We need to keep our country safe and we need to lead the world with strong and steady leadership, in accordance with our values. And we need to bring our country together. We have to heal these divides. But when I think about the economy, yes, I want more new, good jobs with rising incomes. I see my friends from the laborers here. We need to do work that builds our roads, our bridges, our ports, our airports, our tunnels, our water systems, our sewer systems. This is good, honorable work, and boy, do we have a lot of it in America. We are living off the investments that our parents and our grandparents – and sometimes even great-grandparents – made. If we’re going to have a competitive economy, we need to be building America again. And we also need to do more advanced manufacturing. And some of the most exciting developments I saw throughout this whole campaign were right here in Iowa. I saw in your community colleges some of the most advanced training that I’ve seen anywhere in the country. And I met young men and women who were getting credentialed to be able to leave high school to get good jobs as machinists and tool and die makers, and as designers using 3-D printing. I was so impressed. And I think we need to do that across America. And we need to bring technical education back to our high schools. It was a mistake when we took vocational education out of our high schools. Another way that Iowa has influenced and inspired me is what you’ve done with clean renewable energy. Now, it wasn’t a partisan issue in Iowa. It really got a big boost from your wonderful former governor, Tom Vilsack. But it’s been continued over the years. And look at the results. Look how much energy you are getting here in Iowa from clean renewable sources, most particularly wind. Right? And look at the number of jobs – it’s nearly 10,000 jobs now that are related to that. Plus the renewable fuel standard, which has motivated people to be creative about using biological material and experimenting with cellulosic material. I was in the forefront of moving toward a clean renewable energy future, and I’m excited by that. I’m running against someone who thinks climate change is a hoax perpetrated by the Chinese. I know it’s real. I believe in science. But I’ll tell you what else is real. What’s real are the economic opportunities, the new jobs and businesses we’re going to create by assuming the responsibility to combat climate change, and the young people of our country are going to lead the way to doing that. Now, we also need to help small businesses. Iowa is filled with small businesses. It should be easier to start one, it shouldn’t be so cumbersome to deal with all the multitude of regulations. We’re going to try to streamline that process. Being the daughter of a small businessperson, I believe in giving people the chance to have their destinies in their own hands. And we’re going to work hard. I want to be a first-class small business president, in honor of my dad, and I’m going to do everything I can to help you get started, and grow small businesses. But while we’re growing the economy, we need to make it fairer. And here are a couple of things I want to do. Let’s raise the national minimum wage, so people who work full-time are not still in poverty. I’ve met – you know, two thirds of the people on minimum wage are women – and I’ve met a lot of minimum-wage workers right here in Iowa and across America. Sometimes they have to take two minimum-wage jobs, because a full-time minimum wage job will earn you $15,000 at the end of a full-time year of work. We also could give the biggest boost to incomes, and particularly family incomes, if we finally guaranteed equal pay for women’s work. And the other thing I want to do is make sure more companies adopt profit-sharing, so if you helped to create the profits, all of you, not just the top executives, will be able to share in those profits. You know, at the debate the other night, one of my well-known supporters, Mark Cuban, was there in the front row. And he really, I think, unsettled my opponent. But I’ll tell you, Mark Cuban’s a real billionaire who actually uses profit-sharing, and not only while the business is ongoing, but one thing I really appreciate: first business he sold, he shared the profits with all of his employees. 300 employees became millionaires, because they had a boss who rewarded them for the hard work they did to make it a successful company, all together. And the final point I want to make about this is about family economics. You know, let’s tackle the cost of childcare. Between 2000 and 2012, childcare costs went up 25 percent. Incomes barely budged, right? So we’re going to increase federal investment, and provide more tax relief to working families, so no parent has to pay more than 10 percent of their income for quality childcare. Now, if you don’t have small children or grandchildren right now, you might not realize the cost of childcare in a lot of states is more expensive than tuition at public colleges and universities. A lot of families are just so stressed out. The other thing I want to do is to finally have our country join the rest of the advanced economies, and provide paid family leave, so you can take care of your family members. Now, a lot of people think this is primarily about newborn babies, adopted babies, and of course that’s a big part of it. Last year, in Newton, a mom said to me, I’m counting on you to know what it’s like trying to take care of a newborn and having to go right back to work. Right? That’s a lot of you. There you are. Okay. And I’ve got to tell you, I hear that all over. When my granddaughter was born and I was in the hospital with my daughter, I was talking to one of the nurses, and I said, so what is your biggest worry? She said, well, my biggest worry is that so many of these new moms have to go right back to work. Right back to work. But it’s not just for babies. It’s for sick children, sick spouses, elderly members of your family who are having health problems. There is nothing more important than caring for each other. And I will tell you, it is wrong to make it so difficult for American families. The other big expense for family economics is education. Every one of our children deserve good teachers and good schools, no matter what zip code they live in, right? And we also have to make college affordable. Yesterday in New Hampshire, I was with my friend and my former opponent, Senator Bernie Sanders. I am very proud of the campaign that Bernie and I ran. It was a campaign about issues, not insults. And we shared a lot of the same goals, even though we have different ways of getting there. And so after it was over, he and I sat down and we began to hammer out some ideas about what we could do together. And one of them was to make college tuition free for any family whose income is $125,000 or less. And to make it debt-free for everybody else, so that you only pay what you can afford to pay, without going into debt. Now, right now, Iowans hold more than $12 billion in outstanding federal student loans. An education should give you a boost, not hold you back. And we’re going to offer relief to those of you who already have debt. We have 40 million people who already have student debt in America, 300,000 of them right here in Iowa. We’re going to help you refinance. It is outrageous that you can get a home mortgage at 3 percent, a car payment at 2 percent, and I met people in Iowa who were paying 8, 10, 12 percent interest on their student loans. I’ll tell you what. I am not going to let the federal government make a profit off of lending money to young people to get their educations. And college is crucial, but this is not said often enough. Four-year college is not, and should not, be the only path to a good job that supports a middle-class life. So we’re going to have real apprenticeships, not the kind where you’re told, ‘you’re fired,’ but the kind where you’re told, ‘you’re hired.’ We’re going to help more people in high school and community college on the job learn a skill. So I’m excited about what we can do together. I know so much of this campaign has been about, you know, whatever my opponent says, and who he attacks, and who he derides and denigrates. And the list is long. But it’s not about that. It’s about you. It’s about your families and your futures, and each of us should be telling you what we intend to do in the job. Now, I have this old-fashioned idea. I’m asking for your vote. I should tell you what I’m going to do, what my plans are. So Tim Kane and I have actually put out this little paperback book. And I see somebody holding one in the front row. It’s called, not surprisingly, ‘Stronger Together.’ You can pick it up at a bookstore or an airport, wherever they sell paperbacks. And you can see what we’re trying to do, and where we’re going to get the money to pay for it. And the simple answer to that is, we’re going to make the wealthy and corporations finally pay their fair share to support America. Now, my friends, my opponent has a very different vision for America. He actually bragged about gaming the system to get out of paying his fair share in taxes, maybe not paying any taxes at all. And what I really find so disturbing about this is he spends all of his time just dumping on America. Calling us a third world country. Saying our military is a disaster. That everything about America is in bad shape. But then it’s probably true, he hasn’t paid a penny in federal taxes to actually support our military, or our vets, or our schools, or our roads, or our education systems. He actually is proud of the fact that he lets everybody else pay taxes. He says that makes him smart. Well, I’ll tell you what, if not paying taxes makes him smart, what does that make the rest of us? My husband and I have put 40 years of our tax returns out into the public. You can go and look at them, and you can see that we’ve been blessed, and we’re grateful for that. But we have paid the highest marginal tax rates, and we are glad we could, because we have both benefited from this great country of ours, and we want to pass that on to the next generation and the one after that. Donald Trump is also proud that he rooted for the housing crisis back in 2008 and -9. Think about that. Five million families lost their homes. And he rooted for it because he said he could make money off of it. He even said that it is just business. Well, what kind of person believes that – that throwing people out of their homes, foreclosing on them, destroying the dreams of hardworking people is just business? Well, I’ll tell you, that’s a person who should never be president because they don’t understand the American dream and how hard it is for people to make it. So look, I think after – Thank you. I think after what we saw Monday night, we’ll have two more debates to be able to contrast and compare. I have no idea what he’s going to say the next time. But you know, I will spend some time preparing for it. But we can’t do any of the things that I just talked about or anything that you see in our book without your help. The future of our country, the future of our economy and the future of our society will be on the ballot. It breaks my heart to see all the mean-spirited, divisive, bigoted things that are being said in our country. We can have our differences, for heaven sakes. We’re Americans; that’s in our DNA. But we should respect one another. We should listen to one another. That’s the way we’re going to get things done together. And so I want you to join this campaign. The election will be close, but we can win Iowa and we’re going to win on November 8th. So if you can, text ‘Join,’ J-o-i-n, to 47246, or go to hillaryclinton.com and sign up to volunteer. If you’re not sure if you’re registered, see these signs, ‘I Will Vote?’ Iwillvote.com. You can go to iwillvote.com, put in your name and your address, to make sure you’re registered. Because sometimes people get dropped off the registration lists and they are surprised when they show up to vote that they’re not on it. So check that out. And then, vote, and get everybody you know to vote. And I hope that a lot of you will go to vote after today, after this beautiful rally we’re having. Because we will prove that we are stronger together. And you know what else we’ll prove? We will prove that love trumps hate. Another Republican Endorsement for Hillary Clinton – A Cute One! This endorsement is too cute not to share. He does not mention which is Felix and which is Oscar. Vermont businessman Tony Pomerleau is supporting the same presidential candidate as his longtime friend, despite their ideological differences. The latest Republican to endorse Democratic presidential candidate Hillary Clinton over GOP nominee Donald Trump is a longtime friend of Clinton’s opponent in the primaries, Sen. Bernie Sanders (I-Vt.). Tony Pomerleau, a prominent Republican businessman and developer in Sanders’ hometown of Burlington, Vermont, endorsed Clinton in a charmingly brief letter to the Clinton campaign that was provided to The Huffington Post. We’ve made progress, but have a ways to go. Too many women still aren’t paid fairly. On average, women earn 20% less than men do for full-time, year-round work. Women of color earn even less. And when a working mom or grandmother earns less than she deserves, she’s not the only one who pays the price. Her children or grandchildren — whoever’s counting on her salary — do, too. And at long last, let’s finally ensure equal pay for women. It’s time for Congress to pass the Paycheck Fairness Act — which I cosponsored when I was in the Senate — to give women the tools they need to fight discrimination in the workforce. We also need to promote pay transparency so that women have the information they need to negotiate fairly for their wages. As president, it’ll be my mission to bring our economy and workplaces into the 21st century, so all of our contributions are respected — both women’s and men’s — and families can thrive.